Turkey has welcomed around 2.3 million German tourists from January to July this year – a 20 percent year-on-year increase. Impressed by Turkey's performance this year, leading German tourism professionals announced successive good news for the country. They announced that more of their citizens will come to Turkey for vacations and praised the increase in the number of tourists. Björn Conrad, product and contract manager of Schauisland Reise, Germany's seventh-largest tour operator, expressed his astonishment, saying, "Frankly, I did not expect Turkey to return so quickly." Meanwhile Matthias Lange, the CEO of Trevone Trends, one of Germany's most important research companies, said, "Turkey is a very attractive country and quite busy in last-minute reservations with a very high demand. We expect an occupancy rate of over 100 percent in Turkey in the coming weeks." In the first seven months of this year, 2.3 million Germans visited Turkey with an increase of 20 percent compared to the previous year. Lange gave important information about the future of Turkish tourism, stating that Istanbul is ahead of booking requests in August with Barcelona. "We also see Turkey as a winter destination," Lange said. "The number of clicks rose by 103 percent in November and March, which is quite high compared to the previous year for winter tourism. Spain ranked first due to the Canary Islands." "There is a reason for this increase. Due to the prices, Turkey is a very attractive country. There is a very high and intense demand in last-minute reservations," Lange added. Songul Rosati, general manager of Öger Tour, on the other hand, stressed that the trend is good and that 2019 is likely to catch up with the 2015 figures. "Nobody guessed that Turkey could make such a quick turn. We put in additional capacities this year," he continued. "So, we are after the 2015 figures. Winter is the period when Turkey's regulars come into play. Bookings for 2019 were also opened. So, I can say positive things for next year." TUI West European Contract Manager Hasan Öztürk Kaynak said despite the difficulties experienced in the last two years, hoteliers in Turkey did quite well. "In the context of customer satisfaction, Turkey is always entering our top three. For this summer, as Turkey returned very successfully, we put a capacity of 100,000 at the beginning of the season," Kaynak noted. 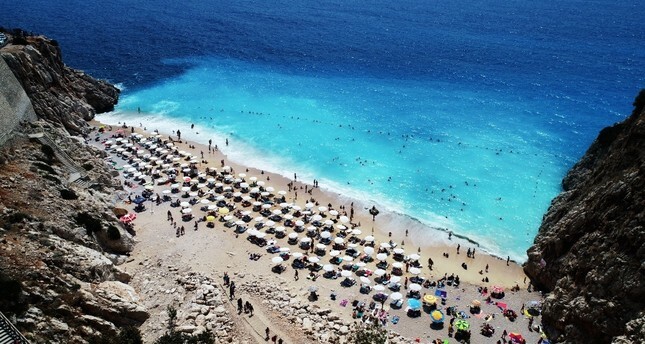 Answering a question whether the number of German tourists will exceed 5 million, Bentour General Manager Deniz Uğur said, "My forecast is that this figure can be reached, but it does not matter whether it is 4 or 5 million. In fact, the arrival of quality tourists is important for me." Turkish Travel Agencies Association (TÜRSAB) Chairman Firuz Bağlıkaya suggested that Germany is an important market, because it affects Europe's travel preferences, adding the increase in Germany is very promising in this regard. "Indeed, there is a 20 percent increase compared to the previous year. This year we aim to reach 4.5 million German tourists," Bağlıkaya said.